A look at 10 promising development projects across Canada. It hasn’t been an easy time to advance mineral projects to mines over the past five years. But with some metals prices firming up and project financing becoming more attainable, it’s time to look at development projects that are starting to gain momentum. We’ve searched for Canadian projects that have the potential to become promising mines and have permitting or other milestones coming up that could bring that potential to bear sooner rather than later. This is not an exhaustive list by any means – just a selection of projects that have caught CMJ’s eye. Projects are listed in alphabetical order. It was a bit of a shock when the Nunavut Impact Review Board (NIRB) decided to reject Sabina Gold & Silver’s Back River project last year over concerns about its impacts on caribou populations. But in January, the federal ministry of Indigenous and Northern Affairs (INAC) sent the NIRB’s final report back, saying that the findings were premature and more information was needed to support a decision. And in July, after a second review that considered more detailed information submitted by Sabina to address identified gaps, the NIRB recommended that the project proceed. At presstime, the company was waiting for a decision by the Minister of INAC on the project, 520 km northeast of Yellowknife. If the decision is positive, it could have a project certificate before the end of the year. In June, Sabina retained a financial advisory firm to assist it in sourcing financing for the $415-million project. However, there’s little doubt the company will find the money. A 2015 feasibility study showed the project’s economics to be robust. At US$1,150 per oz. gold and a 5% discount rate, the mine is expected to generate an after-tax net present value of US$480 and an internal rate of return of 24.2%. The open-pit and underground project could produce nearly 200,000 oz. gold a year for 11.8 years. Until mid-July, Goldcorp’s Coffee project in the Yukon seemed to be sailing along smoothly. The gold major acquired the advanced gold project, 130 km south of Dawson City, through a takeover of Kaminak Gold last year. But the project hit a stumbling block when the Yukon Environmental Socio-Economic Assessment Board halted the assessment process after determining that Goldcorp hadn’t adequately consulted with First Nations communities affected by the project. Consultation will certainly take time, but Goldcorp is still confident it will be pouring first gold at Coffee by the end of 2020. The high grade, open pit project hosts indicated resources of 3 million oz. gold in 63.7 million tonnes grading 1.45 g/t. (That includes probable reserves at the same grade totalling 2.2 million oz. gold.) A 2016 feasibility study completed by Kaminak projected capital costs for the heap-leach project at $317 million. With production averaging 193,000 oz. gold per year over a 10-year mine life, the study estimated Coffee would generate a net present value of $455 million and an internal rate of return of 37%, after taxes. The study used a 5% discount rate. 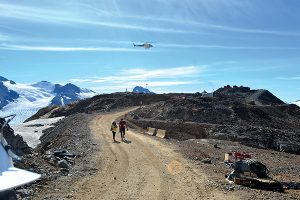 Victoria gold acquired the Eagle gold project in the Yukon in 2009 through a takeover of StrataGold. After a couple of years of advancing the project, which is located 375 km north of Whitehorse, it released a feasibility study in 2012. Unfortunately, the study came out at a low point in the industry when capital for new projects was non-existent. But Victoria kept going, and in October last year, released an updated feasibility outlining a $370-million 33,700-tonneper- day heap-leach operation with a mine life of 10 years. At a discount rate of 5%, the mine would generate a net present value of $508 million after taxes and an internal rate of return of 29.5%. Reserves at Eagle and Olive, a nearby deposit, total 2.7 million oz. gold contained in 123 million tonnes at a diluted grade of 0.67 g/t gold. Victoria has attracted some savvy institutional investors, including Sun Valley Gold and the Electrum Strategic Opportunities Fund, which last year invested $24 million into the company. The momentum carried into January, when Victoria announced a US$220-million debt facility that was expected to close in the second quarter. Once it does close, it’s expected to be the foundation of the financing package that will fund the fully permitted project through to production. 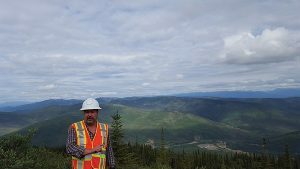 The site of a former open pit mine from 1998-2011, AuRico Metals is making strides in advancing its Kemess Underground project in north-central British Columbia, 250 km north of Smithers. The project hosts reserves of 107.4 million tonnes grading 0.53 g/t gold, 0.27% copper and 1.99 g/t silver for 1.9 million oz. gold, 630 million lb. copper and 6.9 million oz. silver. A 2014 feasibility study pegged capital costs for a 25,000-tonne-per-day operation at US$380 million. Using a 5% discount rate, the study estimated net present value at $421 million after taxes, with an internal rate of return of 15.4%. While AuRico CEO Chris Richter told The Northern Miner in March that AuRico would like to see sustainable metal prices at the level used in its feasibility study (US$1,250 per oz. gold and US$3 per lb. copper) before deciding to proceed with the mine, the company continues to make progress at Kemess South. Environmental approvals were granted by both the provincial and federal regulators for Kemess South in March. And in May, AuRico signed an IBA with three Sekani First Nations: Takla Lake, Tsay Keh Dene and Kwadacha. The company also released a PEA in May for the Kemess East deposit, only 1 km away from Kemess Underground, that showed positive economics for a standalone development. It’s now working on a feasibility study that will evaluate Kemess East and Kemess Underground as part of an integrated development scenario. Seabridge Gold’s KSM project, located 65 km northwest of Stewart, B.C., is one of the largest undeveloped gold-copper deposits in the world. In four deposits: Kerr, Sulphurets, Mitchell and Iron Cap, KSM hosts reserves of 38.8 million oz. gold and 10.2 billion lb. copper in 2.2 billion tonnes grading 0.55 g/t gold and 0.2% copper. An updated prefeasibility study released in September 2016 showed an open pit and underground development at KSM could produce an average of 540,000 oz. gold and 156 million lb. copper a year over a 53-year mine life. Using a 5% discount rate, the study also projected a post-tax NPV of $1.5 billion and an IRR of 8%. The study used an exchange rate of US80¢, US$1,230 per oz. gold, US$2.75 per lb. copper, US$17.75 per oz. silver and US$8.49 per lb. molybdenum. With a projected US$5-billion price tag, the company is looking to bring down capital costs and improve the economics. While a large upfront capital cost has stymied development at a time when large capex projects are being avoided, there’s no doubt this giant will be developed eventually. The company is seeking a joint venture partner to help it develop KSM, but in the meantime, it’s been steadily adding value to the project through drilling the highgrade Deep Kerr and Iron Cap Lower zones, which contain inferred resources. And the company also envisioning alternatives for development of KSM. An October 2016 PEA that incorporates the development of the Deep Kerr and Iron Cap Lower zones in an underground only mining scenario showed improved economics, although at higher capital costs of US$5.5 billion. The project received environmental approvals in 2014 and recently received federal approval related to its tailings management facility plan. Fortune Minerals discovered the NICO deposit, 160 km northwest of Yellowknife, in 1996, but it’s getting a push now because of projected growth in the cobalt market. More cobalt is needed to make electric vehicle batteries and portable electronics – but supply isn’t keeping up. Supply chain and ethics concerns that stem from the majority of the world’s cobalt being mined in the Democratic Republic of Congo is only adding urgency to the project. Fortune hired Hatch and Micon in April this year to update a 2014 feasibility study that projected positive economics for a primarily open pit mine at NICO with a life of 21 years. That study pegged capital costs (excluding working capital) at $589 million, aftertax NPV (at a 7% discount rate) at $224 million and IRR of 15.1%. While the study used US$1,350 per oz. gold, it also used a higher Canadian dollar (US88¢) and a cobalt price of US$16 per lb. In July, the spot price was over US$26 per lb. Fortune already has environmental assessment approvals and major mine permits for its planned mine and concentrator facilities in the Northwest Territories and its planned refinery in Saskatchewan, where concentrate will be processed to battery grade cobalt sulphate. The company is working with PwC to arrange financing for the project through a combination of strategic partnerships, debt, offtake deals and forward sales of gold. In June, Glen Koropchuk, a director of the company and former chief operating officer of De Beers Canada, was appointed COO of Fortune. A recent announcement of government funding for a public all-weather road to the nearby community of Wharti is another “critical enabler” for NICO. NICO hosts proven and probable reserves of 33.1 million tonnes grading 1.03 g/t gold, 0.11% cobalt, 0.14% bismuth and 0.04% copper for 1.1 million oz. gold, 82 million lb. cobalt, 1.11 million oz. gold, 102 million lb. bismuth and 27 million lb. copper. Prairie Creek has been a mine-in-waiting for decades. The Hunt brothers nearly completed building a mine and mill on the property, about 500 km west of Yellowknife in the Northwest Territories, in the early 1980s – just before the silver prices they had driven sky-high plummeted back to earth. Canadian Zinc acquired the project in the early ’90s. So what’s giving this longstanding project a push now? Higher zinc prices and a potential zinc shortage have revived interest, as has a prefeasibility study published last year that indicates positive economics for the project. Building on that study, the company has hired AMC and Ausenco to conduct a full feasibility study, expected to be completed in mid-2017. The study will hopefully support debt financing for Prairie Creek to finally finish development and bring the project into production. The project hosts proven and probable reserves of 7.6 million tonnes grading 127.58 g/t silver, 8.33% lead, and 8.93% zinc. The prefeasibility last year estimated a 1,350-tonne-per-day underground operation would have preproduction capital costs of $244 million and a mine life of 17 years. At a discount rate of 8%, and after taxes, the NPV comes to $302 million and the IRR to 26.1%. The study used prices of US$1 per lb. for zinc and lead and $US19 per oz. for silver. 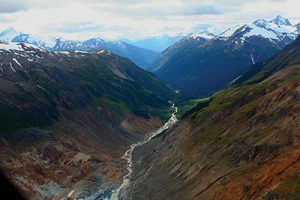 IDM Mining’s Red Mountain project, in B.C. IDM Mining made a deal to acquire the Red Mountain project from Seabridge Gold in 2014, under a three-year option agreement. The project lies 18 km northeast of Stewart, B.C. The high grade project contains 2.1 million measured and indicated tonnes grading 8.75 g/t gold and 25 g/t silver for 583,700 oz. gold and 1.7 million oz. silver. A feasibility study released in June outlined a $135.7-million underground operation with a mine life of 5.4 years. While not a long-lived mine, the study showed the project could generate a net present value of $104 million after taxes and an internal rate of return of 32%. The study used a discount rate of 5%, a gold price of US$1,250 per oz., a silver price of US$17 per oz. and an exchange rate of US76¢. Unlike a July 2016 PEA, the study assumed a year-round rather than seasonal operation producing an average of 78,000 oz. gold per year. Shortly after it released the study, the company submitted its project application and environmental impact statement with federal and provincial authorities. IDM is aiming to start production in 2019, but in the interim, it’s also pursuing opportunities to further enhance the economics including through exploration, the use of more used processing equipment, and optimization of the mine plan. Harte Gold is rapidly advancing its Sugar Zone project, 60 km east of the Hemlo gold camp in Ontario. With an indicated resource of 1.1 million tonnes grading 8.41 g/t for 302,000 oz. contained gold and 417,000 tonnes of inferred resources at 7.13 g/t gold, Sugar is certainly high grade. The company completed a positive preliminary economic assessment in 2012, but is proceeding with development without completing a bankable feasibility study. Instead it took a 70,000-tonne bulk sample last year, which gave the company a wealth of information about the narrow vein deposit. The sample confirmed multiple important factors: continuity of mineralization, mineralized widths and modelled grades, the cost of contract mining, that the met allurgy is simple and recoveries from Sugar zone ore are high, and that longhole mining is an appropriate method to use, with minimal dilution. Still to come before the end of the year, Harte expects to sign an IBA with the Pic Mobert First Nation; receive permits for full commercial production (federal approval is required for the operation if it exceeds 600 tonnes per day); and to complete an updated resource estimate. The company began construction in July with plant commissioning to start in early 2018. Harte expects to begin phase 1 production (540 tonnes per day for around 50,000 oz. a year) before the end of the second quarter of 2018. Nemaska Lithium is targeting commercial- scale production at its Whabouchi project in the James Bay region of Quebec by early 2019. The junior’s timing is very good, given the burgeoning demand for battery grade lithium and a shortage of lithium hydroxide. The company has developed a proprietary process to turn spodumene from Whabouchi into lithium carbonate and lithium hydroxide monohydrate. To show that the process works and can be used to make product to client specifications, it built a 610-tonne-per-year demonstration plant. 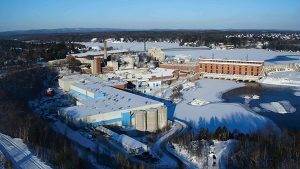 Now, Nemaska has few hurdles left to navigate: it’s received major federal and provincial environmental approvals for Whabouchi, and the fact that it has signed offtake agreements with Johnson Matthey and FMC for half of its lithium carbonate equivalent should make financing easier. An April 2016 feasibility study projected capital costs for development at $549 million – $239 million for the open pit mine, located 300 km north of Chibougamau, and $310 million for a hydromet plant in Shawinigan, Que. Nemaska plans to ship concentrate produced at mine by road to Chibougamau, then 555 km by rail to the processing plant in Shawinigan. With an initial 26-year mine life, the project boasts an after-tax NPV of US$928 million and an IRR of 30.3% (using an 8% discount rate). The company closed a $50-million bought deal financing in June and expects to close a debt financing by the end of September. It’s also in talks with the Quebec government through Ressources Quebec regarding potential capital funding of the project. Ressources Quebec is the company’s largest shareholder with a 9% interest. Whabouchi hosts proven and probable reserves of 20 million tonnes grading 1.53% Li2O and underground reserves of 7.3 million tonnes grading 1.28% Li2O. SURPRISING THAT PURE GOLD IN REDLAKE IS NOT IN THIS LIST! Thanks for your comment, Antonio. The list was focused on more advanced projects (almost all have a feasibility study). But there were several promising projects like Madsen that are at the PEA level that we are watching for future coverage. This looks exciting, I hope some of these projects kick off soon. What’s the right way to measure mining sector performance?